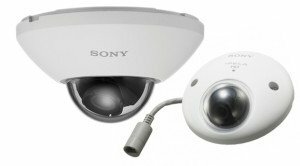 Sony Electronics Security Systems Division and Next Level Security Systems™ have jointly developed an affordable cloud-based video surveillance solution, “IPELA CLOUD Serviced by NextConnect® Video,” designed to deliver affordable, scalable security services and technologies to its worldwide customer base. Combining Sony’s IPELA ENGINE EX™ Series Cameras with NextConnect® Video cloud service, it will allow the cameras to automatically configure over the network and connect to the cloud for additional mobility, security and video storage options. The service will allow users to easily access on-camera and stored video, and provide additional flexibility through the cloud for long-term retention of critical data. Using IPELA CLOUD Serviced by NextConnect® Video, these cameras will be able to auto-matically detect available bandwidth and select a suitable bitrate stream to maximize video transmission and viewing. Unlike other hosted or cloud services, IPELA CLOUD will leverage patent-pending peer-to-peer technology from Next Level Security Systems to provide a powerful solution. *As low as $75 per month for a 2 camera commercial system AND 5 years Cloud Service! Direct connectivity from the camera to the cloud – no need for additional hardware. 1 to 4 cameras per location are ideal. Video is delivered and optimized based on the client’s bandwidth and viewing device. Plug and Play install. Web browser interface. Because video is encrypted on-camera, video is secure even on an open or insecure Wi-Fi network. You have full control of who can view your video. NLSS offers referral incentive programs with flexible financing for your clients. Custom camera configurations can be tailored to meet site requirements for your Client. View an unlimited amount of high quality HD video for unlimited clients for a fixed, low price. Manage multiple sites and large deployments with a single registration. please complete the Partner Sign-up Form. Please complete this form if you would like to learn more about the new Sony IPELA Cloud Camera solutions.